President Obama’s budget plan appears to be more like a tax plan. The reason being is that successful people would pay more on their income, they would get less lower deductions, their pension savings are capped, and more. A long list of extra taxes in the long list of the so called budget plan. 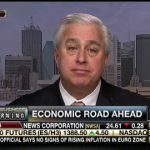 Even with this budget the White House has admitted that at best they expect 3% growth, but is that realistic to assume? 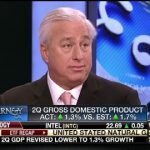 Ed Butowsky, wealth manager, financial advisor, and managing partner of Chapwood Investment Management, joins Fox Business’ Varney & Co. to examine the reality behind the White House expectation of growth given the list of taxes within this budget plan.